Shipping is limited to the United States only. Other restrictions may apply. Vignoles produces small, compact clusters highly susceptible to Botrytis bunch rot. Fruit can develop high sugar content while maintaining acidity, so Vignoles can be used to make late harvest desert wines in addition to dry to semi-dry table wines. Vertical shoot positioned (VSP) training is used primarily for upright-growing cultivators, especially those that benefit from improved exposure to sunlight that minimizes summer fruit rots and/or increases potential wine quality. As compared with Top Wire Cordon (TWC) training, VSP is much more labor-intensive due to the need for summer shoot positioning, leaf removal, and summer (top) hedging. VSP training employ a fruiting wire at 30-36", and usually three sets of catch wires at 10-12" intervals above the fruiting wire. At planting, one or two buds are retained near the graft union on grafted vines, or near the crown of the vine on own-rooted vines. Support is provided with a bamboo stake or other support. For grafted vines, the graft union should be planted above the ground so the scion variety does not produce roots. Where winter graft union protection is needed in order to prevent winter injury, it is critical that the graft union be planted close to the ground (1-2" above final ground level), with graft unions covered with soil or other insulating material during the winter months. One cane is retained from the previous year's growth. This cane can be pruned and tied to the bottom wire, or a lower cane can be trained on the fruiting wire. A second trunk can be started by leaving a short spur at the base of the vine, just above the graft union on grafted vines, or just above ground level on own-rooted vines. In Year Two, crop should be limited by cluster thinning or de-fruiting in order to encourage vegetative growth. Single cane can be pruned and trained in each direction from the head of the vine for cane-pruned systems (right side of diagram), or, spur-pruned cordons can be retained for spur-pruned systems (left side diagram). In either case, three to five buds are retained per foot of row (for example, 18 to 30 buds are retained on vines spaced six feet apart within the row). Where possible, shoots emerging from cane growth below the fruiting wire should be removed to avoid overcrowding and shading at the head of the vine, but on cane-pruned systems, one or two shoots should be retained below the fruiting wire as renewal canes for the subsequent year's growth. During the growing season, shoots are manually "tucked" or shoot positioned between the sets of catch wires. Shoots that emerge through the top set of catch wires are summer pruned to encourage upright growth and minimize the shading at the fruiting zone. Third year vines should yield between one-half and a full crop, depending on the amount of trellis fill achieved. Vines that achieve full trellis fill can be fully cropped (as appropriate for the variety and desired wine quality attributes), while weaker vines may require some fruit removal by cluster thinning so that vines are not over-cropped. Canes or cordons should be fully established and annual growth should fill the available trellis space. Depending on the variety, wine quality may be improved by reducing crop load, usually by removing second and/or third clusters on developing shoots. In regions where winter injury to trunks is anticipated, new trunks can be trained by retaining one or more suckers annually, and used to replace older, winter-injured trunks. 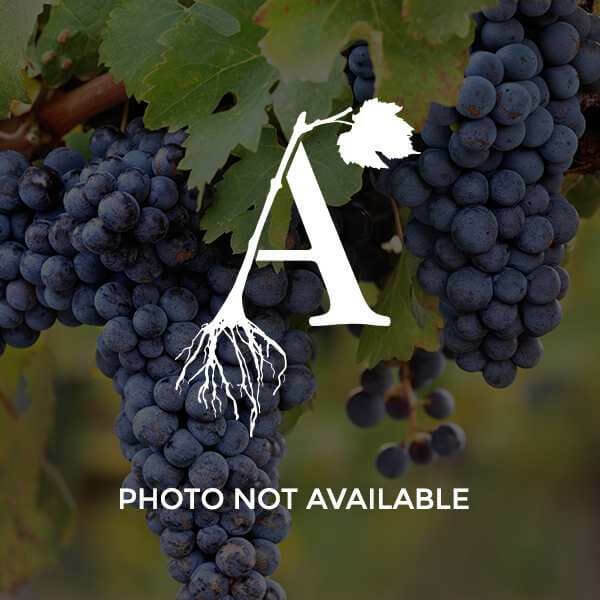 Get help purchasing the grapevines that are just right for your region.